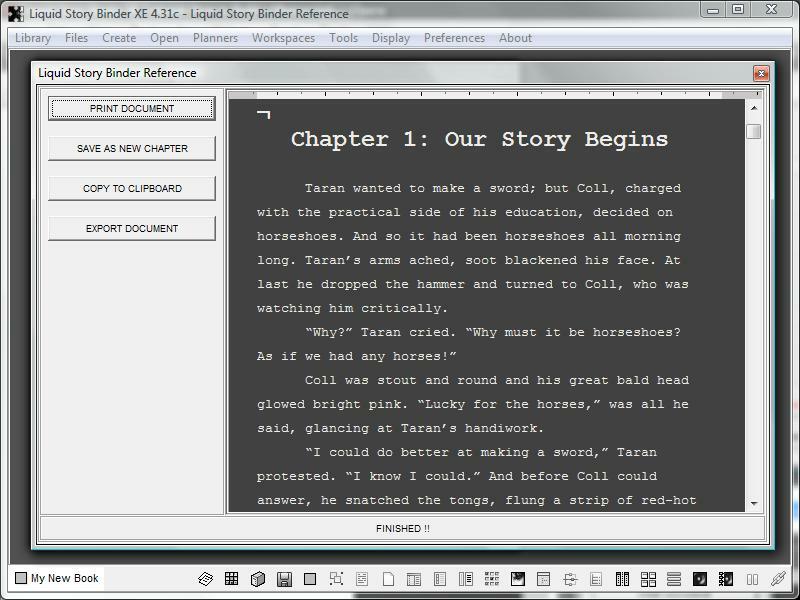 Manuscript Building combines many chapters into a single, unified document. 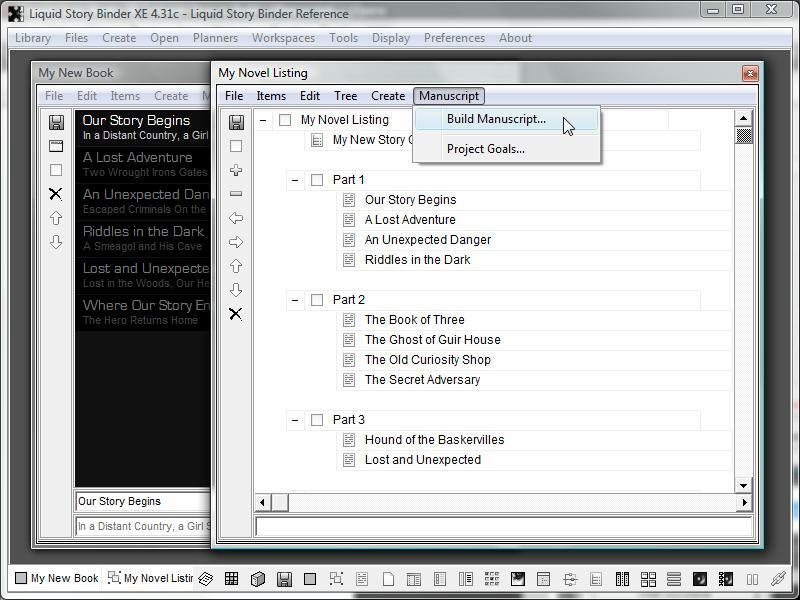 The Manuscript Builder can be found as part of the Association, Planner, and Listing file types. 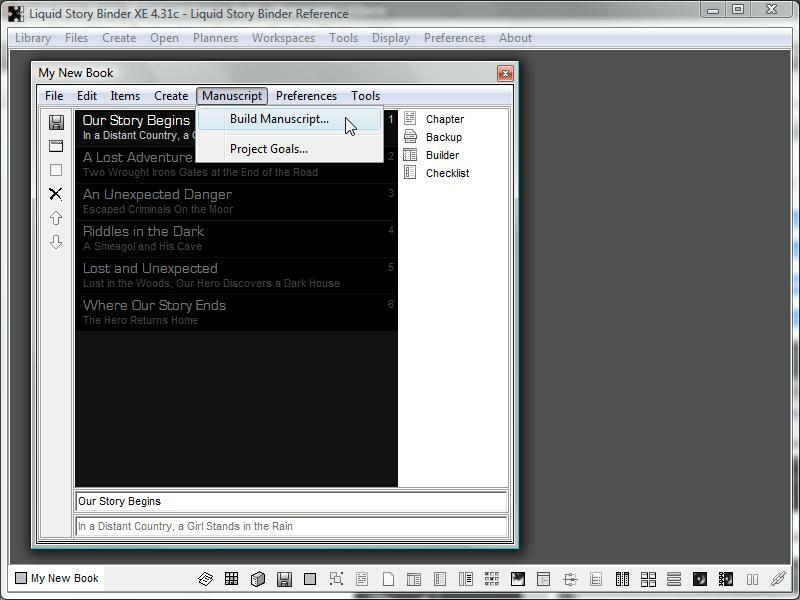 From the Planner's 'Manuscript' menu, choose 'Build Manuscript'. The 'Manuscript Preferences' dialog will open, allowing you to choose your preferred font, paragraph and formatting options. Begin by selecting your preferred Chapter Title and Manuscript fonts. Now, choose your formatting options. To preserve existing line and paragraph spacing, make sure to choose 'Leave Paragraphs Unchanged'. To preserve font types and coloring, choose 'Preserve Font Styling'. 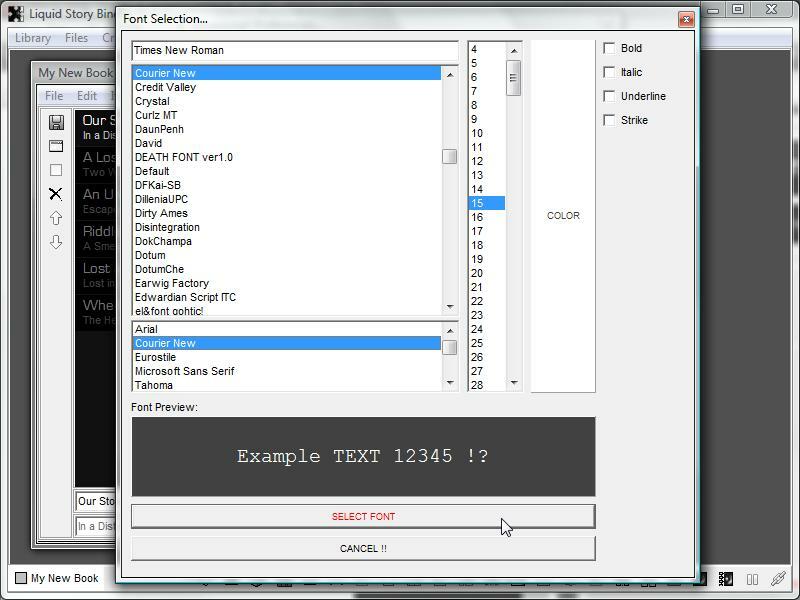 'Remove Font Styling' converts all text, including bold, italics and underline to the 'Manuscript Font'. Choose 'Change Font Styling' to replace font types and colors with the 'Manuscript' font while preserving italics, underline and bold selections. 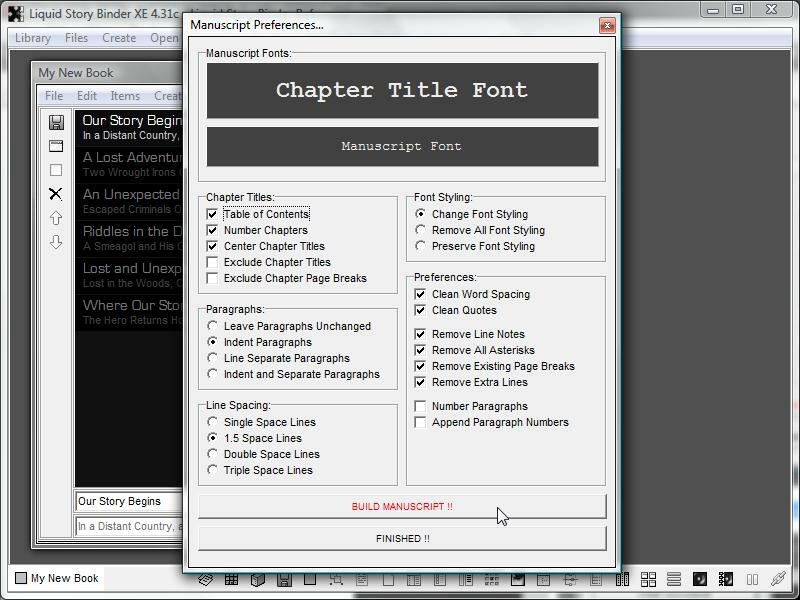 Click 'Build Manuscript' to format and combine your Chapters. After your manuscript goes through the building and formatting process, you will be able to print, save, copy or export your new, unified manuscript. Also, build your manuscript using a Listing.